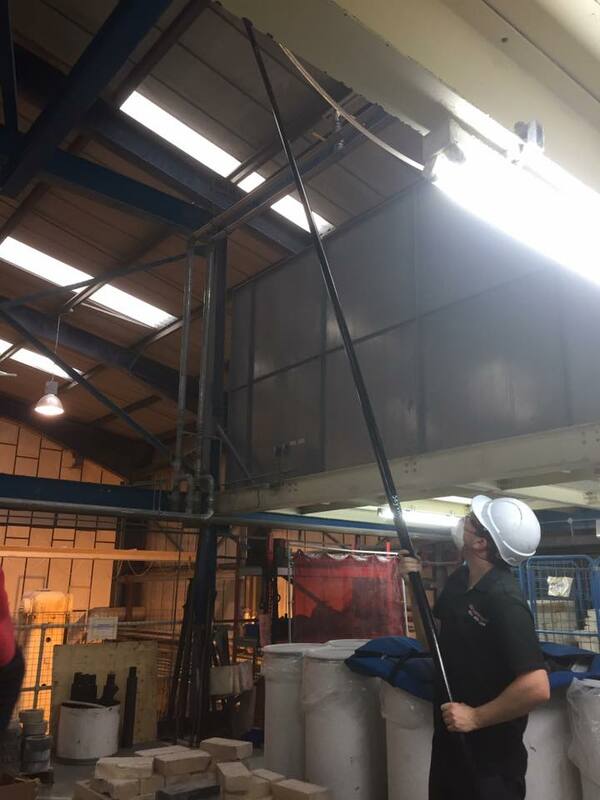 High Level vacuuming , is a revolution in cleaning, that offers operators across a wide range of sectors, a simple, safe and cost-efficient solution to the challenges of cleaning at height. high reach vacuum systems allow cleaning high areas whilst keeping your feet firmly on the ground. Whether it is gutter cleaning outside or cleaning of pipes, beams and fixtures inside large facilities and warehouses. The system allows operators to clean up to 16 metres high from the ground with no need for expensive and time sapping methods like cherry pickers or scaffolding. Professional Ductwork flue extraction cleaning Our Professional and reliable ductwork cleaning services can improve hygiene and minimise potential for airborne contamination Our Professional team with over 25 years’ experience makes sure work is all completed to a TR19 standard and will improve health and safety and hygiene within the extraction system. If left for a long time gutters become blocked by leaves, and other debris. In dry conditions this becomes a potential fire Hazard. When gutters are clogged, water will not flow and drainage becomes blocked this means the water sits and stands and very often over flows. With the water sitting for long time it causes erosion , rust and roof damage and causes damages due to excess weight also causing sagging gutters. With Removal this prevents Mold damage and pest infestations also regular maintenance will prevent need to repair. In factory environments it is vital to keep floors and other surfaces clean in order to minimize the risk of accidents. Dirtbusters offers cleaning and maintenance for commercial and factory floors. With our specialist team and equipment we make sure the area is kept safe and hygienic at all times. Bird droppings or guano can not only pose a high health risk, but they also damage building structures and make building look unsightly. 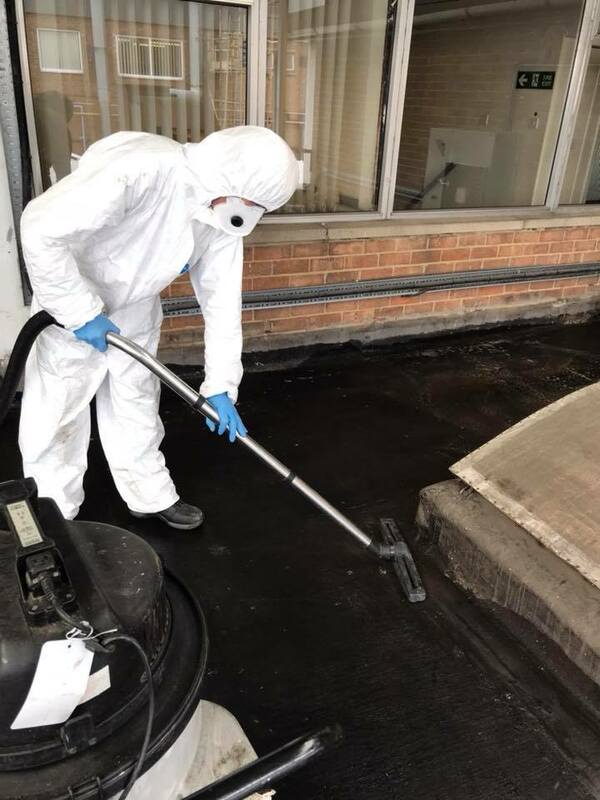 If not dealt with immediately, guano can cause permanent damage to balconies, roofs, fences, machinery, gardening equipment and ventilation systems. These can all be very expensive to replace so it’s very important that a professional cleaning service is hired to properly remove and disinfect affected areas. The build of of grease and fat deposits in commercial kitchens is a serious FIRE RISK and if kitchen duct cleaning is not carried out regularly your insurance may be invalid. 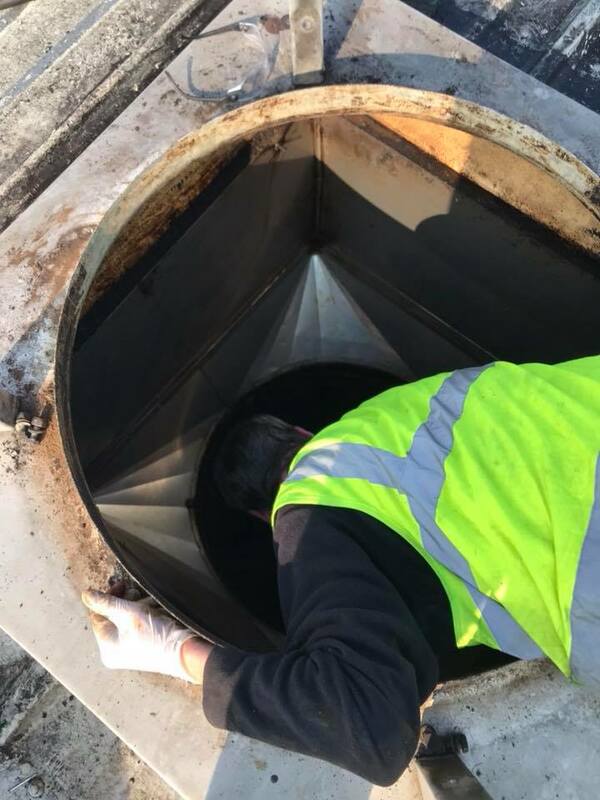 In fact, it is now a requirement of insurance companies that all grease extraction plant and ducting is cleaned frequently by an accredited specialist company. Using specialist kitchen duct cleaning services is also advisable to ensure commercial kitchens are kept clean and free from grease or fat deposits; which promotes healthy public food preparation and ensures food prep areas remain hygienic. Facilities Management / Cleaning and Painting of External Units and Flue System (High Level Work). Over time External Flue, Units and Fixtures can be damaged due to weather and ageing materials as the paint work can decay and flake and rusting becomes more visible. A cheaper alternate rather than replace and refurbish the current units and flue, would be to clean and paint the external units savings the company money and time. High level areas are often neglected because they are hard to reach. However, the collection of dust and dirt is not good for everyone who works in the building. This is why these areas need to be cleaned regularly so it contributes to a healthier working environment. And this is a job that a company offering a high level cleaning service provides. A lot of businesses have areas that are hard to clean and reach. Such areas are found in food manufacturing centres, warehouses, large entertainment venues, industrial fabricators, schools, factories and leisure facilities. With these areas occupied by not just employees but, in some cases, the public as well, it is a duty to provide them with the safest and cleanest spaces possible. One of the best ways to guarantee a clean space is to hire a company offering professional high level cleaning services. With commitments taking up much of your time, trying to fit in other tasks, such as cleaning, can be extremely challenging. Whether it is a regular monthly clean-up or a one-off thorough general cleaning for your office, hiring professional cleaners is a wiser decision than doing it on your own. Here are the benefits you will get from opting for commercial cleaning in Sunderland. Professional cleaners will not only ensure satisfactory and perfect results, but also superior and high-level cleaning services. As you can see, these individuals are highly trained to be proficient in executing their work. Also, they are not your employees, which mean that you are relieved of the burden of managing, training, supervising and assessing them. When one of them is off, then the company will just send a replacement in his place. The commercial cleaning industry as a whole is one of the fastest growing and economically progressive in the UK today. People from far and wide are immigrating to the UK to be part of such a huge industry of possibility, opportunity and future progress. We decided to put in the time and research the industry as a whole and create an infographic for you to use and share. The cleanliness of your commercial space matters. It matters to those who work within the building and it matters to the public who come and seek your services. How would they feel if you neglected to even care for the carpets or clean the bathrooms? It sure wouldn't look good, and this is why the service of a commercial cleaning company is so essential: they help take care of this aspect while you can focus on business-related matters. Office buildings are considered a home away from home. Come to think of it, people spend most of their lives in the office compared to their own home. This is why the office space must be treated exactly like one's home. And as a business owner, it is your duty to make sure the environment your employees are working in is safe and clean.